Hello Folks! I am STOKED to have today’s guest on our digital pages. She is an absolutely hilarious person, and has some great words to share with us today. It’s Erin Whitehead! She is fantastic, and also happens to be 1/4 of the comedy group Wild Horses, which we have had the great fortune to have had 2 of this amazing group’s other members on the site previously! We have had Stephanie Allyne, Mary Holland, and now the wonderful Erin Whitehead! That’s 3/4 of this amazing group you should all know and love. So….Lauren Lapkus? What’s up?! 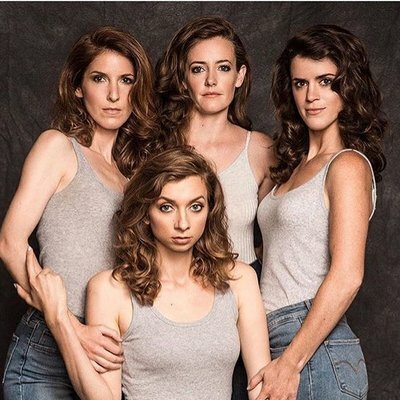 I can honestly say that I am most bummed that I live about as far as you can get from the Los Angeles area when I see any one of the Wild Horses stars promoting their show, or showcasing how awesome it inevitably turned out. But thankfully, the internet exists, and Erin has done so many amazing things that you all already know and love! 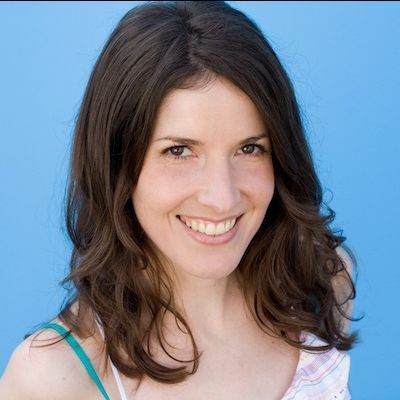 She’s worked on brilliant comedy series like HBO’s Animals, Bajillion Dollar Propertie$, the previously mentioned Stephanie Allyne directed short film The Fun Company, and so much more! Again, we are so excited to have Erin become a part of the TWS family! She gave us some wonderful answers, and we are so excited to share it with you all today! Enjoy! When did you first decide that you wanted to join the world of comedy? When did you decide that making people laugh was how you wanted to earn a living? For years, the idea of professional comedy wasn’t something I was drawn to. Even though I’ve always loved eliciting laughter from family or in any social situation, I saw myself as a serious, dramatic actor. I had done improv in college, majored in writing, and then moved to LA and immediately dropped both those things in lieu of intense method acting classes. It was years of paying thousands of dollars to insane teachers whose style was “break you down to build you back up” before I realized it was kind of awful and decided to take a break and get into an improv class just for fun. And that’s when I found UCB. In my very first 101 class I was like, oh, this it for me. We have had the honor and privilege to have already spoken with two of your three other Wild Horses co-stars, Stephanie Allynne and Mary Holland. But, its been a year since we last spoke with Mary, so I am curious to know how things are going? How are you enjoying working on the show? Wild Horses has now been together for 5 years and I still think how lucky we got to somehow come together. It’s the most fun I have onstage – having conversations with people with whom I share as many similarities as differences. I’m constantly astounded by or learning from a different point of view and getting to entertain an audience at the same time. It’s this really fun, easy chemistry that feels so rare and has sustained itself. We currently have two monthly live shows at Largo and UCB. I still think it would make a great tv show, which was something we tried to get off the ground a while back and didn’t end up happening, so who knows what the future may hold for us. And we never got to properly ask Stephanie and Mary because I am a stupid, stupid person, but, how did the 4 of you manage to team up? What made you all decide that you wanted to work together on a show like Wild Horses? Hey, listen, don’t be so hard on yourself. I’m so stupid I once watched the 1998 movie The Avengers on cable all the way through thinking it was the 2012 Marvel Avengers and going, how does anyone think this a superhero movie? So, Wild Horses happened sort of by chance. The four of us were friends who had started hanging out as a foursome occasionally (craft nights hosted by Lauren, a Beyonce concert). And then the Portland comedy festival All Jane asked Lauren if she had an all female team she could bring up to perform. I think she just asked the people she figured would be fun to travel with and do a couple shows with. It was just a free friend trip and some improv. We performed together and it was just so fun and effortless so we continued when we got back to LA. The format of our show The Perspective came about because we liked the idea of a comedic version of The View; Women sitting around talking, except it’s rarely about current events and we all genuinely like each other. It’s essentially how we are if we’re all out to dinner, only onstage. 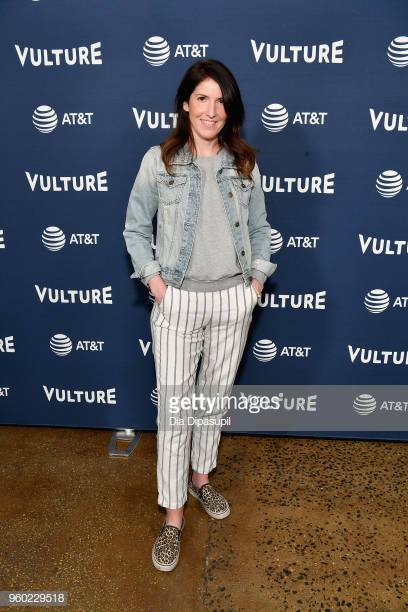 And now for the dreaded question that I almost hate to bring up, but feel like if we don’t keep the conversation going, nothing will change: What are your thoughts on the world of comedy for women right now? With everything that has occurred in the last year or so, are things getting any better for women? What do you still believe needs to be done in order for real change to occur? I don’t really differentiate women in comedy from just women in the world, specifically in this country for the purposes of this conversation. Celebrities and comedians have a public platform and have been able to bring some horrible but unsurprising behavior to light, but it’s just a small sampling of what women everywhere deal with from men. I’m sure everyone’s tired of the word “Patriarchy” (a guy I know recently joked it’s his “trigger” word haha) but that’s what we’ve been living in and what’s been normalized for generations. I think you pretty much answered your own question, which is we have to keep the conversation going. Keep peeling back the layers of this deeply ingrained misogyny that lives in both men and women. Less than a year after #metoo becoming a hashtag, the conversation is already shifting to what this means for men, how to heal the men who have mistreated women. I’ve heard a few men express how scary it is to be in this time where anyone can say anything and they’re believed… which is of course the same as saying they don’t believe women. We’re still very concerned with how this is an imposition to men. Why? It seems so straightforward to me: Women are less violent, smarter, funnier, better at communicating and emotionally more intelligent than men; just let us run everything. Between acting, improv, stand up, writing, and more, you have manage to delve into just about every possible way of being hilarious in front of audiences. I am curious to know what you preferred method of creating comedy would be? If you were destined to only work in one field, what would you want it to be? I’ve actually never done standup! I have pages and pages of notes and scraps that are waiting for me to get over my fear of learning and failing publicly (necessary steps in becoming good I am told, ugh). I love both writing and acting (I include improv as part of acting) and choosing between them feels like choosing between two selves. Ultimately, though, I feel more freedom and joy when I’m performing. I have so much fun feeling out viscerally what works and what doesn’t and adjusting as I go. The most gratifying laughs I’ve gotten have been when I’m performing my own material – it’s like the writer and actor both get credit and neither feel left out. So, I guess my ultimate career would be acting in a show or movie of my own creation. Although honestly, if I could get paid to just come up with ideas that other people execute that would be fine, too. I honestly have no idea… hopefully something involving the above answer? Walking into my grandparents’ house in Maine and smelling the familiar scent of pine and wood and salt air and fireplace and plain bar soap. Also, a dumb joke in an old Archie comic I was reading. All their stories seem to end in terrible puns and I just adore terrible puns.